I couldn’t remember how many times I have made pizza. Because it’s really simple and convenient. All I just need to do is prepare dough in the morning or before I go out. In the afternoon when I get home, I can easily make pizza with prepared dough. And it only takes around 20 mins. Super quick and delicious as well. My husband is also a pizza fan. So every time I make pizza for dinner, he’s as happy as a child. Since my “rich experience” in pizza, I can make dough without and measurement. I just mix some flour, a little olive oil, salt, sugar and yeast in a large bowl. Then stir flour mixture with chopsticks and add into water at the same time. Stop pouring water when big flour lumps appear. Then use hand to make all ingredients into a big dough. Drizzle a little extra olive oil on the dough. Spread evenly on dough’s surface with hand. Cover the bowl with plastic wrap. Let it rise till 2 times big. 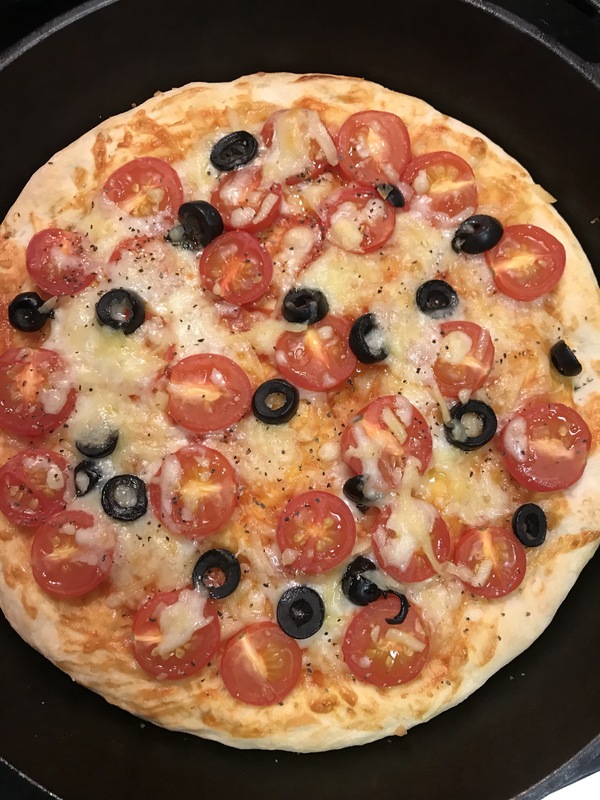 Press dough into a pizza pan. I always use my skillet. Then poke with fork. Brush tomato sauce. Sprinkle a little cheese. Then cherry tomatoes ( chopped into halves) and black olive slices. Then spread extra cheese. Into the oven and bake for 15-20 mins. Serve with some basil leaves on it. 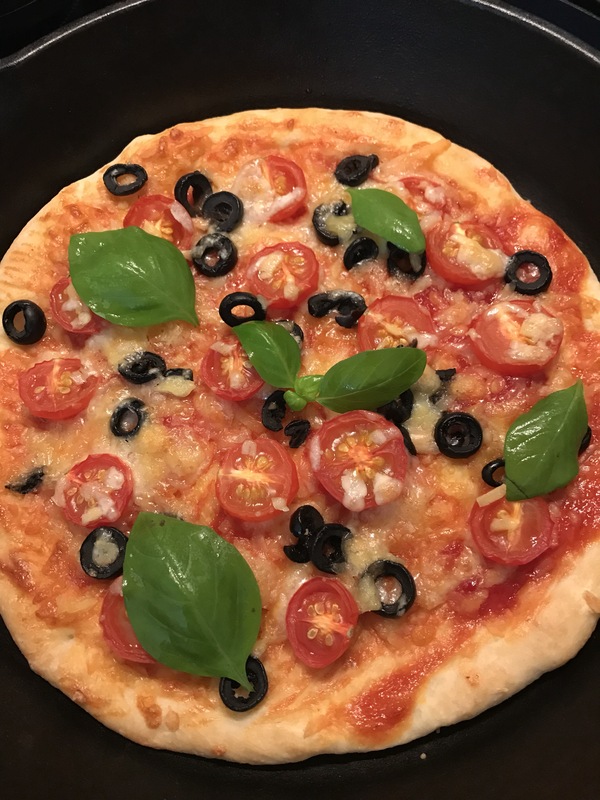 I have made this simple pizza for many times.